The Polo Grounds County Park is located on Huntington Drive in Aptos on the eastern side of Highway 1. The park is 62 acres in size, and has three baseball diamonds, three soccer fields, and abundant open space, with over 50 parking spaces available. Many local residents however access the park on foot via North Polo Drive, although visitors to the park with vehicles are encouraged to access the park via the main entrance on Huntington Drive. The park is heavily used on the weekends as it is host to a number of soccer and baseball leagues for children. In addition, there is a bicycle park there for people to practice jumps on dirt bikes. In addition, the park is also host to the Aptos Dog Park, which is located directly on Huntington Drive and not accessible from the rest of the park. 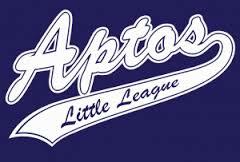 The Aptos Little League has announced that the Aptos Little League Spring 2015 Registration is Open! Registration is open now but will close on January 22, 2015 – so there is a limited time to get your kids registered for the league. You can register by clicking on this link. Tryouts/Evaluations – January 17th & 18th, 2015 @ Aptos Junior High School (times TBD). Tryouts are for player ages 9-12 (age as of April 30, 2015). Read the registration section of the website for more detail. Yesterday was the final game of the Aptos Little League. My son Aiden played with the Yankees – it’s only a farm league, so games are (usually) just 3 innings and nobody actually keeps score. I’ll come right out and say it – I know like next-to-nothing about baseball, never having myself been on a team growing up and only watching it on TV sporadically, mostly when the As or Giants are in the World Series. Even so, I ended up being an assistant coach on the team, thanks to my friend Manny, the head coach, and our friend Uriah, another assistant coach. Manny does know all about baseball, having played it for years growing up. I didn’t end up teaching the kids much about baseball, I don’t think – and when I did, I just repeated whatever it was that Manny told them. But I did spend a lot of time (trying to) keep them in order (“no kissing, no kissing!”) when they were on the bench in their batting lineup, and trying to keep them focused on the ball when they were in the outfield. Regardless of how much I or anyone is into baseball, being on the team is a pretty great experience. Take my son Aiden, for example – because I haven’t really spent much time throwing baseballs to him to hit or catch, and because he is one of the younger kids on the team, he was kind of toward the back of the pack when it came to hitting, catching, throwing, and running. And he was kind of bummed out about it. But I did practice with him (some) in our back yard, and coach Manny did work with him to help him learn these skills better. And he stuck with it. And he got better. And it was awesome to see. All the kids got better throughout the season. It was just an amazing experience, watching them all grow and – and for the most part, have fun doing it. The Aptos Little League is hosting a fundraiser on April 27 2014 at the Spring Hills Golf Course. The little league holds a fundraiser every year, and the money raised goes to support the league, for example, by improving the facilities such as maintaining the baseball fields, and purchasing equipment. This year, the league is working to place automatic external defibrillators on the fields. Come and support the league and get in some exercise by playing a full 18 holes of golf. After an invigorating round of golf, enjoy a BBQ dinner and silent auction. Entertainment will be provided by the Aptos Junior High and Rio del Mar Elementary rock bands! Individual tickets are $95 each; a foursome is $350, and juniors are $50. Not much of a golfer? Then come just for dinner – adult dinner tickets are $20, kids tickets are $5. 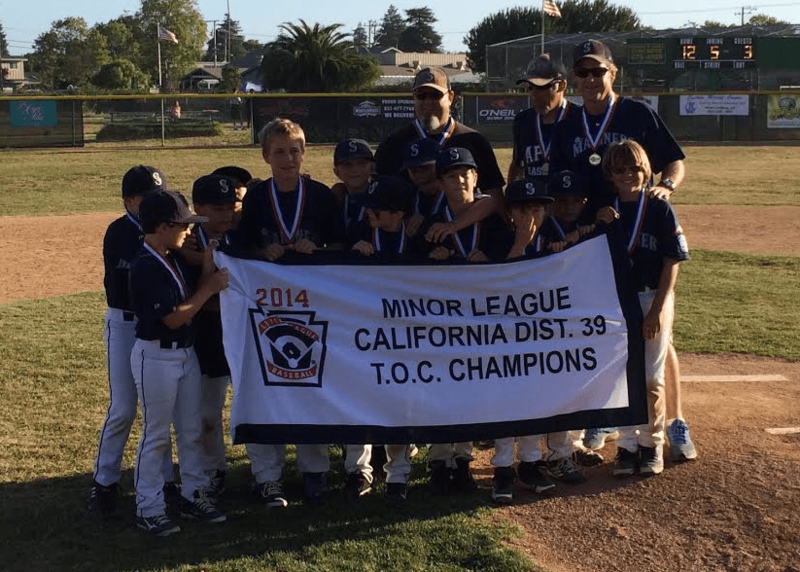 Visit the Aptos Little League page to sign up!